Melissa Taylor of Imagination Soup has over 1 million Pinterest followers – find out how. A: I’m a former classroom teacher turned freelance writer and education blogger. Currently I blog for myself at ImaginationSoup.net and for clients like Parenting Magazine, AlexToys, and Imagine Toys. Q: Do you remember the first time you heard about Pinterest? How did that come about? A: My design and photography blogging friends started talking about their Pinterest addictions. I think it was January 2012 when I decided to see for myself. Q: How long did it take you to decide, “I need to be in Pinterest” and was that decision difficult to make, or relatively easy? A: I think it was a month or two of hearing some buzz about Pinterest. I like to be an early adopter on everything just in case. It’s why I’m still using Google+ — just in case in takes off. Q: When did you start your Pinterest profile? A: I think it was January 2012. Q: Did you bring any existing fans, followers, customers into Pinterest with you, by letting them know about your Pinterest work, or did you keep Pinterest separate and let it grow on it’s own? A: I started from zero. I didn’t make too big a deal of it at first. 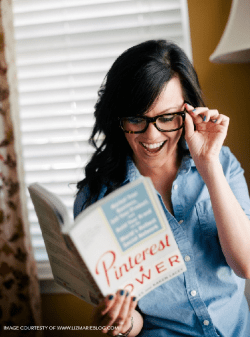 After a few months I wrote two different blog posts about the best Pinners to follow — and included myself of course– and added my Pinterest profile button to my blog. Only recently have I tweeted my Pins. I don’t cross-promote much on Facebook. I should perhaps — I just don’t go for too much self-promotion. My belief is if you’re excellent, you’ll attract followers organically. Q: Would you say you have 1 specific target market you’re trying to serve with your Pinterest boards, like teachers? Or are you targeting more niches than that? A: My focus is education and my community is both parents and teachers. My boards differentiate by subject and interest of course and yes, those can be seen as niches. (example: Science Learning or Outside Learning) I’m very careful to only pin things that are consistent with my focus. I don’t pin exercise pins or fashion because that’s not aligned with my brand. Q: You have over 4,000 pins – how do you use Pinterest? How often and what is your typical routine? A: I pin 3-5 times a day for 5-10 minutes each time. I look for new people to follow all the time so I have great content in my feed and don’t need to search through the Pinterest categories. Q: How long did it take for you to know you were going to be successful in Pinterest? Was it a slow start, or did it immediately take off? A: That’s a great question. Slow start I suppose. When I started collaborating with other bloggers on group boards, my numbers grew from 1,000 followers to 8,000 followers in a few months. When Pinterest opened up to the public (previously you had to have an invitation), then I really got big numbers. I think someone must be recommending my Writing Ideas for Kids board because every day I get ridiculous numbers. Like 10,000 new followers a day. That’s just crazy. Q: Let’s talk about http://www.imaginationsoup.net a little bit. How long have you been publicly blogging, and was imaginationsoup.com your first website? A: My first blog I started while taking a “Blogging Bootcamp” class. My posts were about introverted children. I started Imagination Soup about 3 1/2 years ago to promote my children’s writing workshops. However, the blog gained followers from all over the world and took off. So I kept on blogging long after my summer workshops had ended. 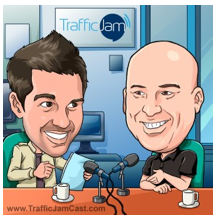 Q: If we look at your http://www.compete.com traffic stats, it looks like your site has grown from 3,400 unique monthly visitors a year ago to almost 13,000 in August. Do you attribute that to the power of Pinterest, or are there other things happening to help drive traffic? Q: Is there any percentage of revenue growth, or other business metrics you’d be willing to share that you can attribute to this growth, and/or Pinterest? A: I’ve done a terrible job monetizing Imagination Soup. In fact since I started getting more monthly hits in August, I signed up for LinkShare and Google AdSense which together add up to about $100 a month — kind of a slow start on those. Some ads I sell but again, it’s not much — $50 – 200 a month depending on how many I sell. I hate doing sponsored posts — and rarely do those. Plus, the money is usually under $100. I make all my money freelancing, not from Imagination Soup. Q: Your site is very Pinterest friendly, with lots of visual content. Were there specific changes you made to your site to facilitate Pinterest user sharing, or was your site just sort of suited for Pinterest from the start? A: Thanks! I now create a more pinnable image with an image and text. Throughout the week, I might go to my archives and do this for 2-3 old posts, too. When I redid my site last year, my designer and I wanted a magazine looking format which turned out to be very Pinterest friendly. Q: I noticed on your Pinterest profile you include your domain name in your user name, but you don’t have your website included in your settings, so people can click straight through to it – is there a strategy in how you’ve approached that? A: Ha – I just noticed that a few weeks ago and changed it. Poor strategy I think! I’ve just been focused on pinning great content and haven’t paid attention to the details. Q: Let’s talk about your amazing success in Pinterest, which is what most people are probably wondering about the most. 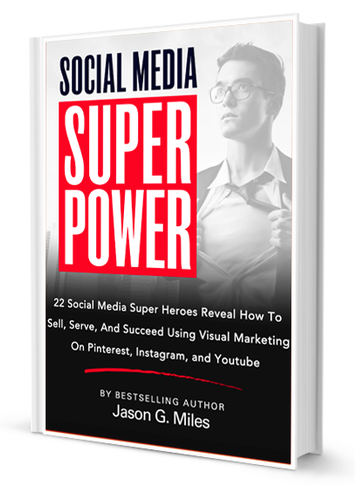 You’re adding several thousand Pinterest followers an hour, and have gone well over 1 million followers. What do you attribute that incredibly success to? A: Honestly, it’s got to be luck mostly. Although I think I’m great and have good content, I really do think there’s a Pinterest genie that must be recommending me — or at least my Writing Ideas for Kids board. Q: I’ve often wondered if people who are experiencing rapid follower growth are being recommended by Pinterest to new users, via the profile set-up steps, or the weekly emails. Do you think that is happening? Q: Is there anything you’d specifically say you did, or didn’t do that is fueling this incredible growth? A: Apart from being lucky, see above, I think I do a good job staying consistent with my brand and not doing too much self-promotion. 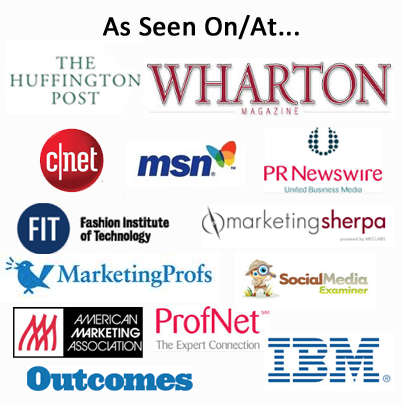 Q: Have you been approached by businesses asking if you’ll repin their content for a fee? I’ve heard that’s becoming more and more popular. Q: What tips or suggestions would you share with people who want to get 1 million followers in Pinterest? A: Have beautiful, pinnable images on your own blog! Spread the love — in other words, generously pin and follow others. Collaborate with other Pinners with decent followings — those boards are usually quite successful and will increase your followers. Q: Do you think there are businesses that aren’t a good match for Pinterest? A: Most definitely! Business that don’t lend themselves to images won’t do well. Also, I’m not sure businesses need to devote tons of time on Pinterest yet since at this point, no one is seeing big returns on investment in terms of actual sales. It’s great for branding but it’s too soon to say it’s going to convert to sales. Q: Are there specific things you’d recommend people not do – or ensure they avoid? A: My pet peeve is when people pin the same thing 10 x in a row to all their different boards. It takes up my entire feed page and results in me unfollowing them. Q: Is your Pinterest success creating opportunities for you to become a ‘guru’ on Pinterest? A: I’m an accidental guru — just a user who has seen success. I still am an education writer but if I can offer any advice to others about Pinterest, I’m happy to do it. Q: What are some next steps you’re dreaming about for your business and writing? Is there a Pinterest How-To book in your future? A: Well, yes, actually. I got talked into writing one by my friend, Jeff Goins. Apparently, most people want to learn more about Pinterest from someone with as many followers as me. Who knew!? Q: Any final thoughts you’d like to share with people interested in using Pinterest to get noticed or expand their reach? A: I’m a big believer in jumping in feet first. Just experiment — see if it’s something you like, and will work for your brand. You can learn as you go. Jason: Thanks for taking the time to share your story with us today, and congratulations again on your success! Tons of valuable information here. So glad to be on your email list. I also bought your new book and I am tearing through it. Thanks Peter, glad you like the book! !